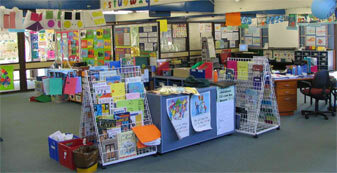 The library resource centre is an integral part of the school. 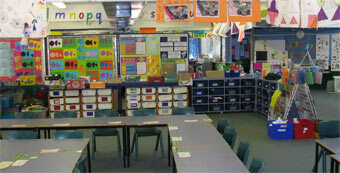 It provides a rich literary environment for all students from Kindergarten to Year 6 to learn or relax in. Information competency is an important aspect of the school's learning program. Regular lessons using books, A/V resources and computer technologies develop the Information Literacy skills of locating, selecting, organising, recording, communicating and evaluating information. Children have access to a fully automated library catalogue, educational programs and the Internet. Children from Kindergarten can borrow up to two items, Year 3, 4, 5 and 6 up to 4 items at a time. The loan period is two weeks. Library facilities are also available for parent use.